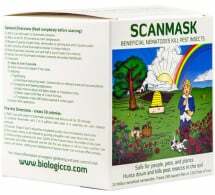 How to identify and get rid of root maggots using time-tested, organic and natural techniques. Many species of the root maggot exist in home gardens throughout North America. Particularly destructive to early season plantings, they feed underground on succulent roots and attack a large variety of vegetable crops including radish, cabbage, carrot, turnip and onions. Heavily infested roots are often riddles with tunnels and rotted. Affected plants lack vigor, may be stunted or yellowed and often wilt during the heat of the day. 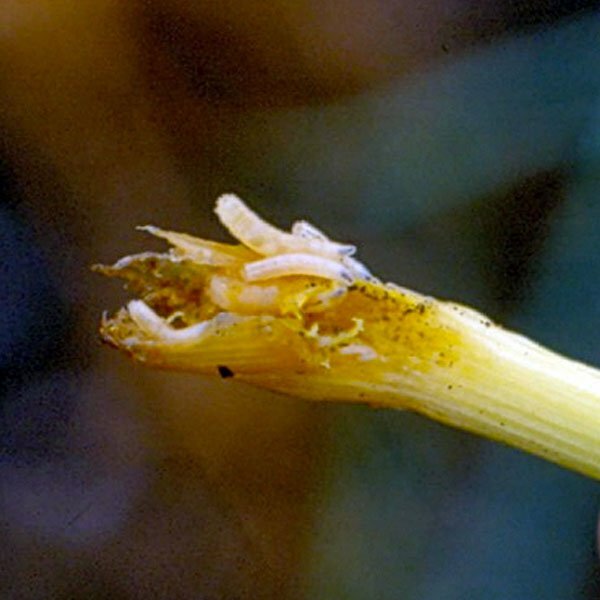 In some cases, maggots may even chew through taproots, causing plants to die. Adults (1/5 inch long) are dark gray flies that look like the common housefly, only smaller. They lay their eggs in the soil at the base of host plants and are very good at detecting newly planted seed beds. Maggots (1/3 – 1/4 inch long) are small, yellowish white, legless larvae with tapered or pointed heads and a rear end that is blunt. 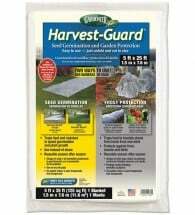 Note: Tunneling and feeding by this pest creates entry points for rot diseases such as black rot. Adults emerge in the spring or early summer from overwintering pupal cocoons in the soil. They soon mate and females begin depositing 50-200 small, white eggs in plant stems right at the soil line or in cracks in the soil near plant stems. Eggs hatch in a few days and the larvae burrow down into the soil to feed on small roots, root hairs, and germinating seeds. After feeding for 1-3 weeks, maggots begin to pupate in plant roots or the surrounding soil. There are several generations per year. Female flies are attracted for egg laying by the moisture emitted from newly planted seed rows. Cover seedbeds with floating row cover immediately after seeds are sown to prevent problems. Be sure the cover extends at least 6 inches on each side of the seed rows. 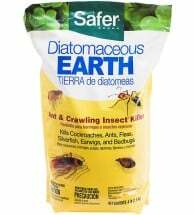 Apply small amounts of diatomaceous earth around seedling stems to deter egg laying by adults. 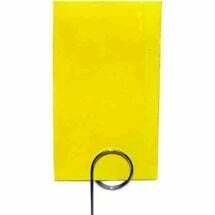 Yellow Sticky Traps placed around vegetable crops will capture many adult flies before they can mate and lay eggs. Heavy paper collars or other sturdy material may be placed around the base of transplants to prevent egg laying around stems. Applying beneficial nematodes in seed furrows or as a top dressing around plants can be effective in getting rid of the larvae. 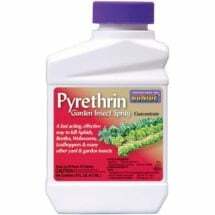 Using a pyrethrin drench is also an effective option, but should only be considered as a last resort. Rototill under crop debris immediately after harvest to destroy overwintering sites.